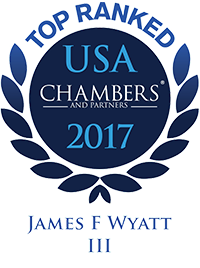 Wyatt & Blake has represented numerous individuals, business professionals and corporations in connection with a variety of different types of federal criminal investigations. We have represented targets, subjects and witnesses. A federal criminal investigation may start as the result of a complaint to federal authorities (for example, by a disgruntled former employee), by allegations made in civil litigation or by a newspaper article that draws the attention of federal authorities. In connection with such investigations, the Government may execute a search warrant, issue a grand jury subpoena, or simply show up at one’s residence or business and seek to interview a person. It is extremely important for an individual who is under investigation to obtain experienced counsel and representation. Many important decisions may need to be made, including whether to submit to an interview, whether to testify before a grand jury (if subpoenaed to testify) or assert one’s privilege not to testify under the Fifth Amendment, and whether to provide information to the Government or otherwise cooperate. Depending on the facts and evidence, it may be possible to convince the Government that charges should not be brought. Federal criminal cases in North Carolina may be filed in any of three separate districts: the Western District of North Carolina, the Middle District of North Carolina, and the Eastern District of North Carolina. 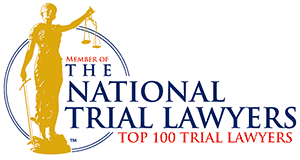 Wyatt & Blake are admitted to practice in all three North Carolina districts and have handled cases in each district.